To say that the launch of a new pillar fragrance from MUGLER is an event is quite the understatement. Since 1992 the brand has only launched a handful of fragrances (excluding their fabulous flankers, of course) and unlike many other fragrance houses, MUGLER takes their time to develop and nurture their pillars. So with so few big launches a new one from MUGLER is hotly anticipated and easily makes for the perfume event of the year! MUGLER’S last pillar fragrance was Womanity, which launched way back in 2010 and whilst it wasn’t a commercial success, it was a daring fragrance who’s sweet/savoury-marine/biscuity signature trickled down through mainstream perfumery into the likes of Calvin Klein’s Reveal and Paco Rabanne’s Olympēa. Seven years later and MUGLER are just about to launch their fourth pillar: AURA. Like ANGEL and ALIEN, and A*MEN before it, AURA plays on Mr Mugler’s supersition, bearing the letter ‘A’ to carry the brand’s theme of addiction into the next phase. AURA was created by a dream team of perfumers; Daphné Bugey, Marie Salamagne, Amandine Marie and Jean-Christophe Hérault, and it presents an oriental twist on the green genre, reinventing it and creating an olfactory shock. The concept behind AURA is “botanical meets animal”. It celebrates the intuitive instinct that MUGLER describes as being innately feminine in nature. The composition consists of three hearts which showcase overdoses of rhubarb leaf and a new Firmenich material called ‘Tiger Liana’. With AURA, MUGLER has sought to innovate, working closely with Firmenich to exclusively use Tiger Liana along with another material called Wolfwood – all of which comes together to create a magic aura and the next chapter in MUGLER’S extra-terrestrial odyssey. L’Artisan Parfumeur has been making niche fragrance since the 1970s. They were the first niche brand, in fact and ever since their inception way back when, L’Artisan Parfumeur has continued to create fascinating fragrances that are often quirky and always beautiful. They are a cult brand who have always managed to inspire passion on perfume lovers across the globe, working at the cutting edge to create perfumes that always bring something new to the table, whether that be an entirely new style or a new perspective on something familiar. In short: L’Artisan Parfumeur rocks and I for one am always interested to see what they’re up to. Which leads me nicely on to some lovely L’Artisan newness! Histoire d’Orangers is the brand’s latest offering and it has come just in time for summer. 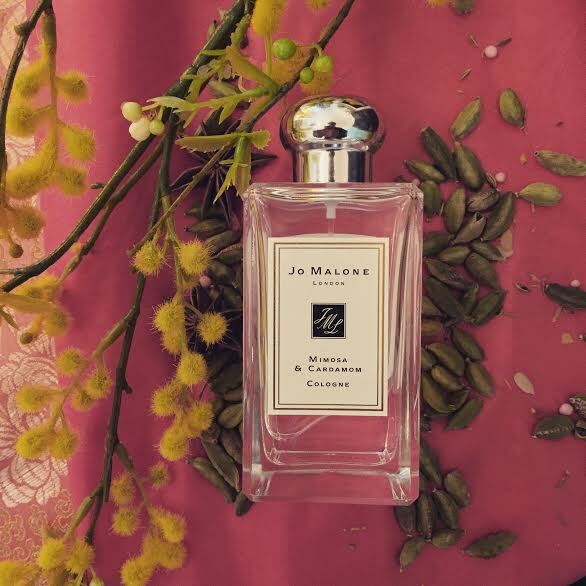 Created by Perfumer Marie Salamagne (Jo Malone London Mimosa & Cardamom) and is inspired by her memory of travelling through the Moroccan region of Souss, which sits in the foot hills of the Anti-Atlas. Of her trip, Salamagne says “‘my memory of the sunset on Taroudant walls remains untouched. Suddenly, the valley takes on exceptional shades, a warm light intensifies the colours of the raw land and the atmosphere gets fresher. Each time I think of this majestic landscape, I think of orange tree flower water. A delicate and delicious water, ultra-refreshing and incredibly luminous.” A rather evocative description, no? The scent plays with the contrast between the heat of the sun and the cool of the shade, creating a vibrant and incredibly sunny orange blossom that L’Artisan describes as “exquisite”. My nose is ready for it. I do love tuberose, it’s true, but it often feels that all of the great tuberoses have already been well and truly done. After all, it’s pretty difficult to best the likes of Fracas, Carnal Flower, Tubereuse Criminelle and Beyond Love now, isn’t it? But every now and then a new tuberose will come along that brings something new to the table, something that isn’t photorealistic, venomous, raucous or all of the above – something that is the antithesis of all of these truly wonderful things. The thing is, tuberose can be rather demanding (it is reportedly known to corrupt virgins, you know) and it has a tendency to dominate every molecule of air it comes into contact with, so one can be found craving the beauty of tuberose but with a little less of the baggage. Enter Tuberose Angelica by Jo Malone London, an everyday sort of tuberose that is high on prettiness and low of drama. Created by perfumer Marie Salamagne (who also made the brand’s tremendous Mimosa & Cardamom), Tuberose Angelica is part of the Cologne Intense collection, but despite its dark, brooding packaging, it has one heck of a sunny disposition! It’s not a new thing for a fashion designer to launch an eponymous fragrance, or any fragrance for that matter. In fact, at this point, the idea is decidedly old hat. But the worlds of fashion and perfume are so inextricably linked that it still makes perfect sense for such a thing as the ‘designer fragrance’ to exist. After all, we simply cannot deny that perfume is the ultimate fashion accessory. Can you imagine leaving the house without any? Sacré bleu! It doesn’t bare thinking about! Tunisian-born designer Azzedine Alaïa has waited a long time to launch his debut (and semi-eponymous) perfume, ‘Alaïa Paris‘ (penned by the talented Marie Salamagne, no less), and having spent some time with the fragrance this week I would say that it has been worth the wait. With Alaïa Paris, the aesthetic of the designer is perfectly in tune with the olfactory composition, making for a scent that, whilst not boasting any particularly bold statements, is unique and interesting enough to represent the style of such a venerable designer. Click here to head on over to Escentual to read my full review. Don’t forget to comment with your thoughts if you have tried Alaïa Paris. I must admit that I have a little bit of a soft spot for Jo Malone London. In my opinion they do what they do and they do it very well, specifically, they create pleasing, low-key fragrances for scenting both people and their homes, and package them all beautifully. Jo Malone London sell a lifestyle, one that is housed within the simplicity of their structured bottles, placed carefully in gorgeous boxes and tied with beautiful bows. It’s a life that looks and smells good. Over the last year or so, the brand has started to become a little bit bolder with their offerings. Rain & Angelica, a limited edition from their London Rain collection was weird and glassy, like crystallised drops of summer rain. There was also last year’s Wood Sage & Sea Salt, another unusual blend that was somewhere between salted caramel and sea spray. Oh and we mustn’t forget Incense & Cedrat, the latest addition to the Cologne Intense collection and an absolutely gorgeous benzoin-heavy incense that begs to be snuggled. They’ve been very busy making some intriguing scents, it must be said. The hard work of Jo Malone London continues this autumn as September sees the launch of a brand new pillar fragrance for the brand. 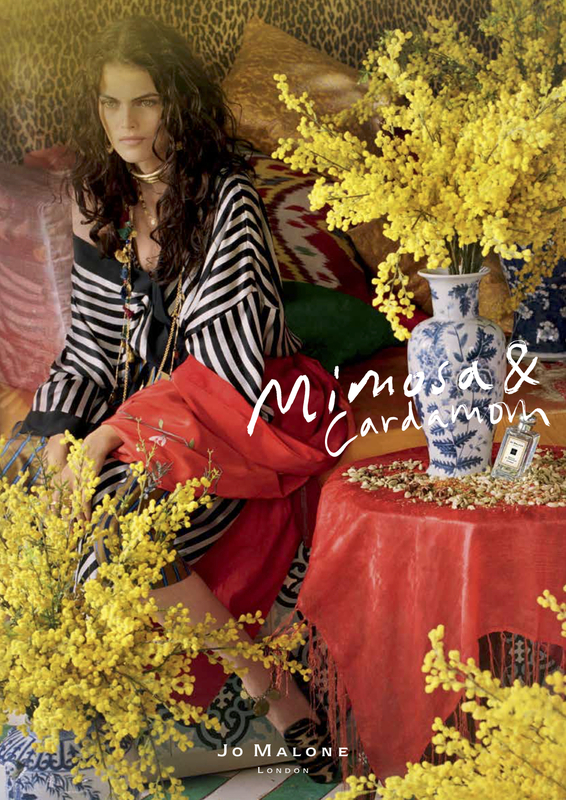 Focusing on the rich notes of Mimosa & Cardamom, this new launch (unsurprisingly called ‘Mimosa & Cardamom‘) created by perfume Marie Salamagne is an ode to word travel, eclectic fabrics and a mixture of cultures seen through the lens of a bohemian blend of flowers and spice. Without offering too many spoilers for the rest of the review, I will say that Mimosa & Cardamom really lives up to its inspiration and I for one think that it’s great to see such an underused yet fascinating note as mimosa being used front and centre in a mainstream fragrance. Good work, JML. This September, British fragrance brand, Jo Malone London are set to expand their cologne collection with the addition of ‘Mimosa & Cardamom‘. Described as evoking a “new bohemia”, the fragrance was created by perfumer Marie Salamagne (Incense & Cedrat and Silk Blossom) pairs the spicy and exotic tones of cardamom with the plush, hazy tones of mimosa and tonka bean. The result is a well-travelled fragrance that displays a variety of textures and colours. I know it’s only March, but I’m going to go ahead and say that 2015 is turning out to be a very good year for perfume. There have been some strong launches, scent such as Annick Goutal’s L’Ile au Thé and Jo Malone’s Birch & Black Pepper, but there’s also been some outstandingly beautiful new things, things like Lalique’s unexpectedly striking Living Lalique, and of course, Jean-Claude Ellena’s latest offering for Hermes – Le Jardin de Monsieur Li. In a world where flankers run riot and ideas, and artistry for that matter, can seem to be in short supply at times, it is perfumes such as these that restore faith and act as reassurance that the perfume industry still has tricks up its sleeve. 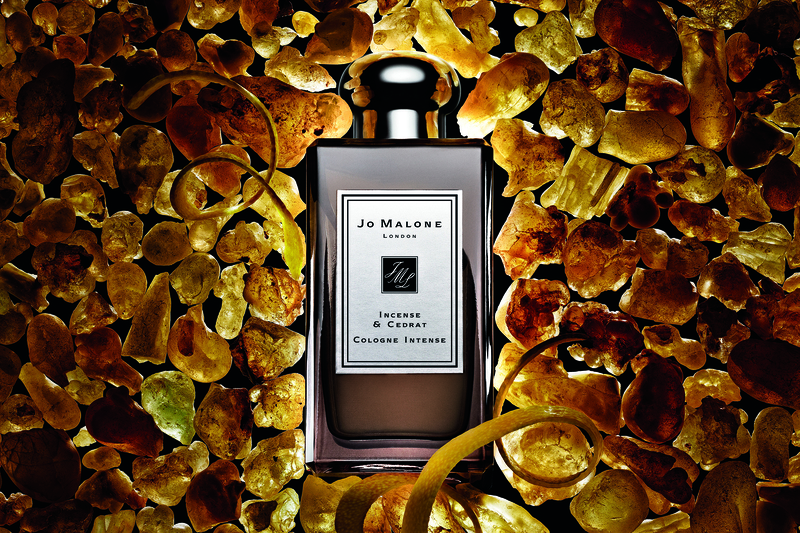 One fragrance that really struck me as quite wonderful and innovative is Jo Malone’s Incense & Cedrat. Launching in June as part of the brand’s Cologne Intense collection, this Marie Salamagne-penned fragrance centers on Omani frankincense – an ancient ingredient that filters through every aspect of life within Oman. Frankincense is burned in the country for a whole heap of reasons, whether it be to simply scent a house, ward off mosquitoes, or even as an expression of sadness. It is as vital to the Omani way of life as it is wonderful to smell, and Incense & Cedrat presents an incredibly pleasing take on the note that is entirely respectful of its importance and natural beauty. To launch the fragrance, Jo Malone transformed their (rather swanky) London town house into Oman for the day. Stepping over the threshold was a real experience. The air was thick with frankincense, the smoke of which permeated the plaster and thick carpet pile of this very British building, transporting one to a foreign land. Once inside, one could be forgiven for thinking they had just hot footed it off the plane straight on to the Arabian Peninsula. It was a door to another world. Thus is the theme for Incense & Cedrat – realism through a dash of perfumery magic.